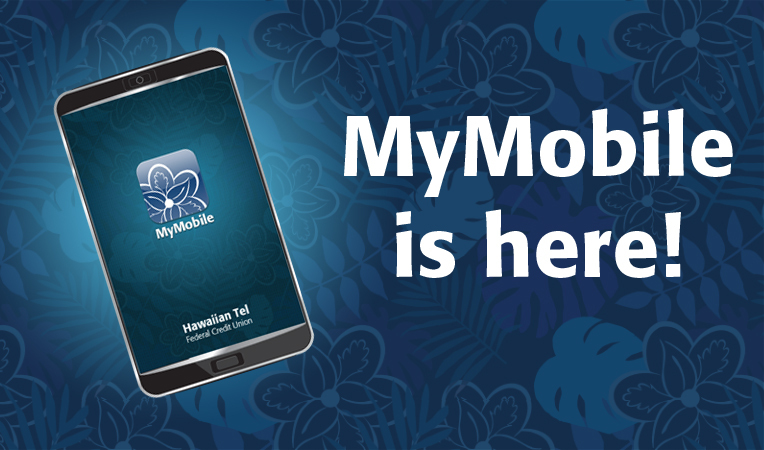 MyMobile is our brand new mobile banking solution! This great new feature puts the power of the credit union at your fingertips! Use MyMobile three ways: with text banking, mobile browser banking, and mobile app banking! All three provide added convenience to you! When you download our mobile app, you can transfer funds, check your account balance and history and so much more! This entry was posted in CU News and tagged mobile banking, mymobile by Hawaiian Financial Federal Credit Union. Bookmark the permalink.